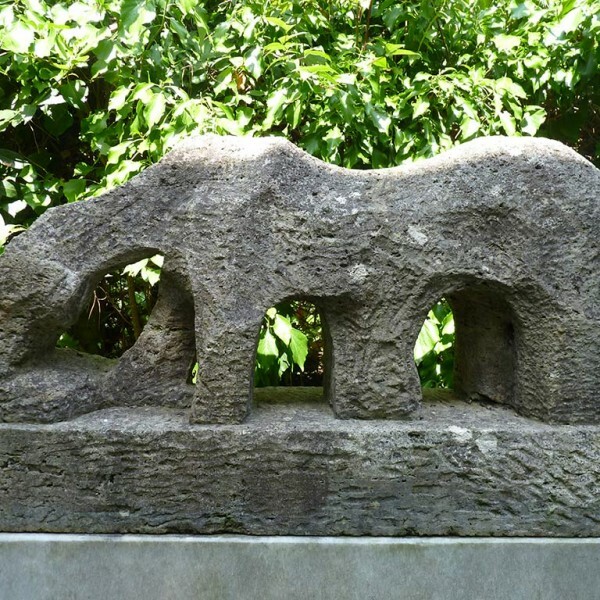 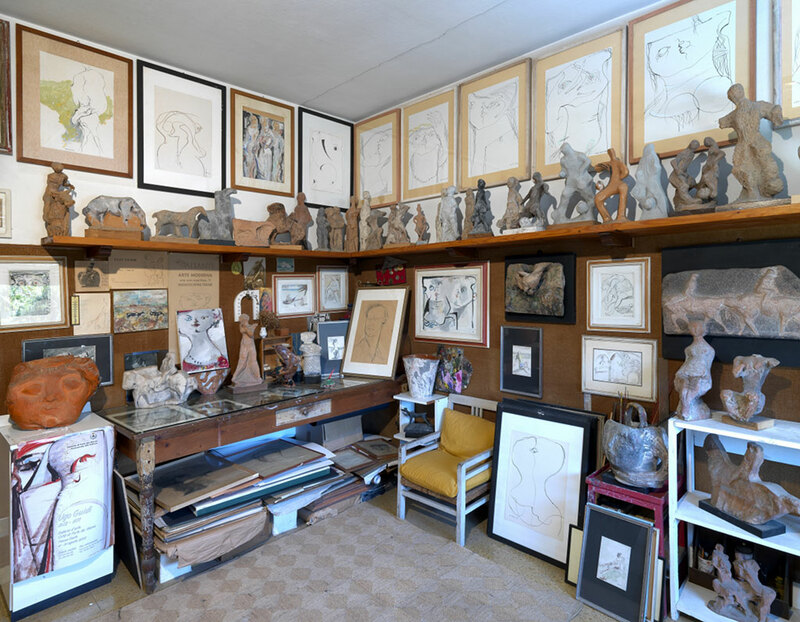 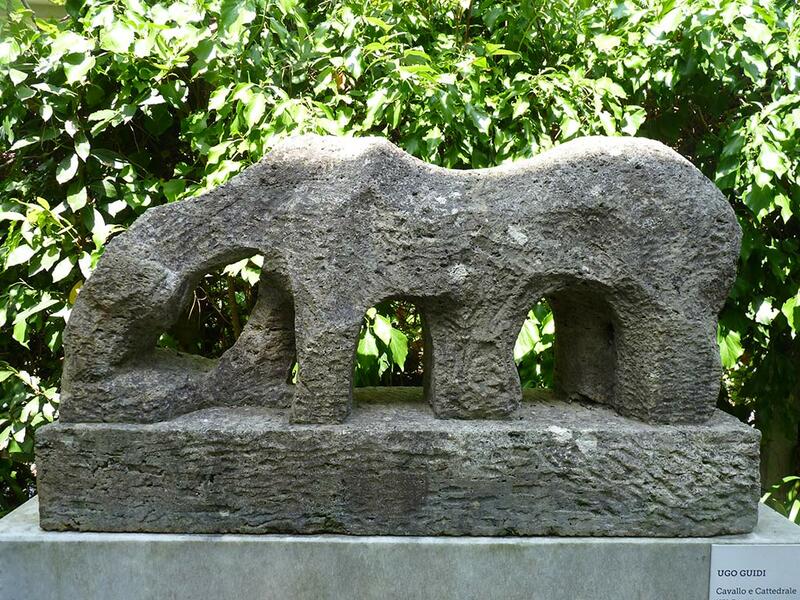 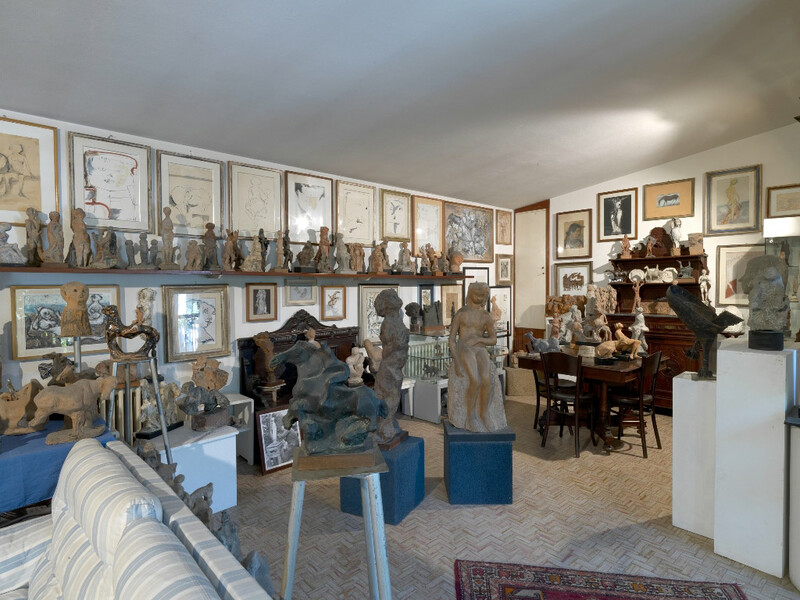 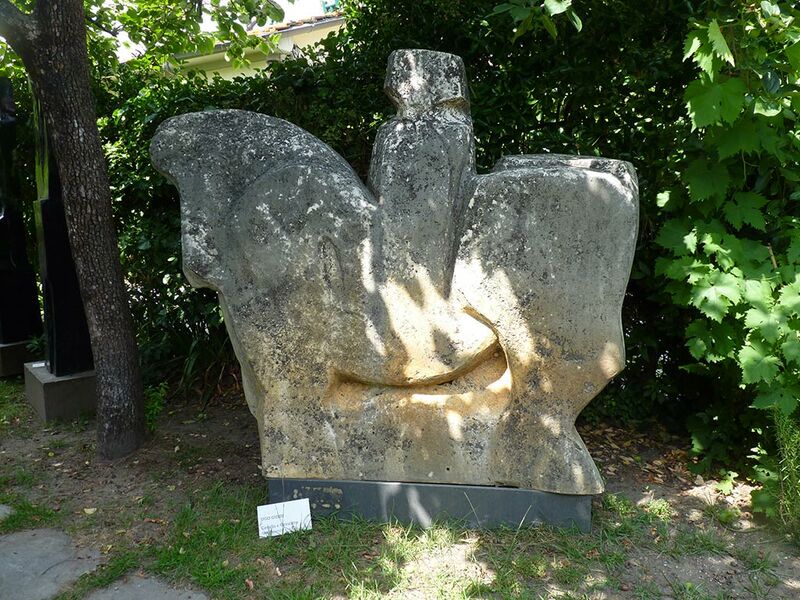 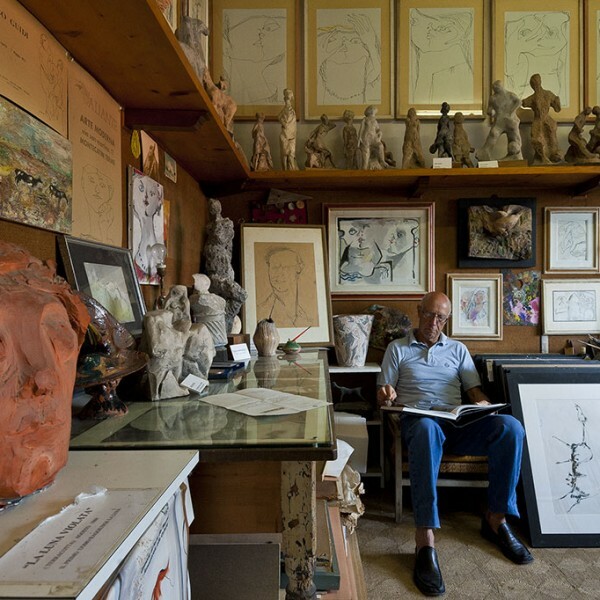 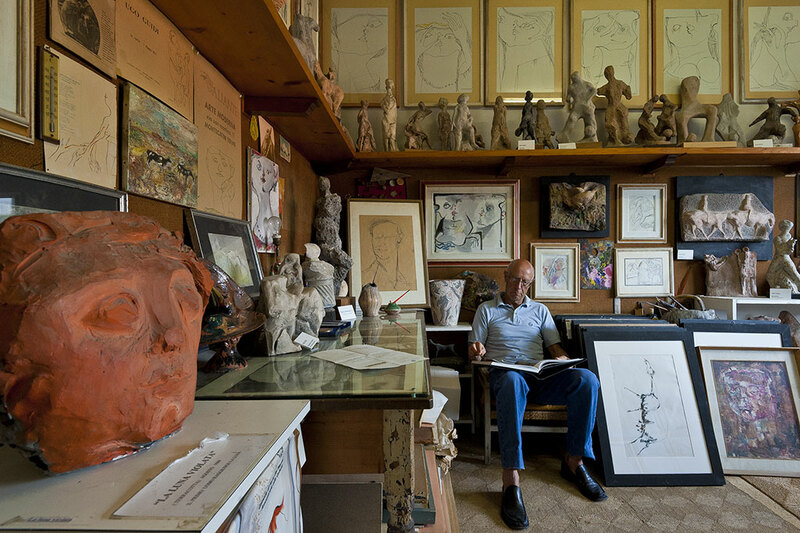 At Vittoria Apuana, a step away from the Caffè Roma Quarto Platano, where artists and literary enthusiasts would meet on long summer afternoons, there stands the historic museum house and studio of Ugo Guidi (1912–1977), sculptor of Forte dei Marmi, a pupil of Arturo Dazzi‘s. 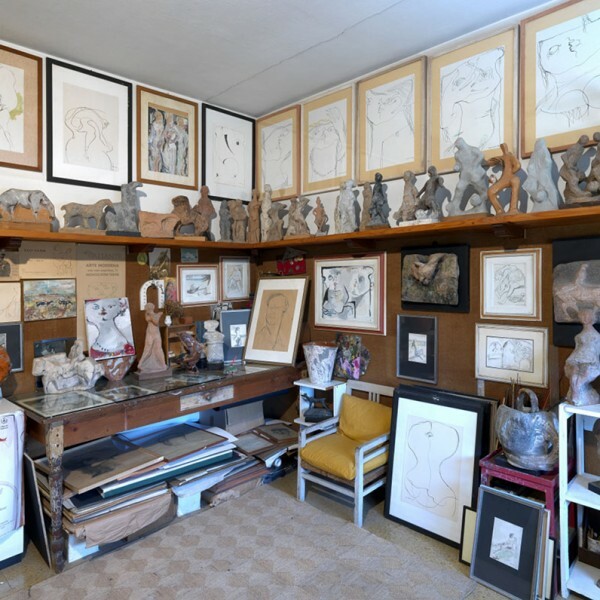 His sons Vittorio and Fabrizio have left the studio untouched, the shelves still loaded with scale models, works, drawings, preparatory studies, books and photographs, trestles and posters; and they have made it a small and undoubtedly fascinating museum. 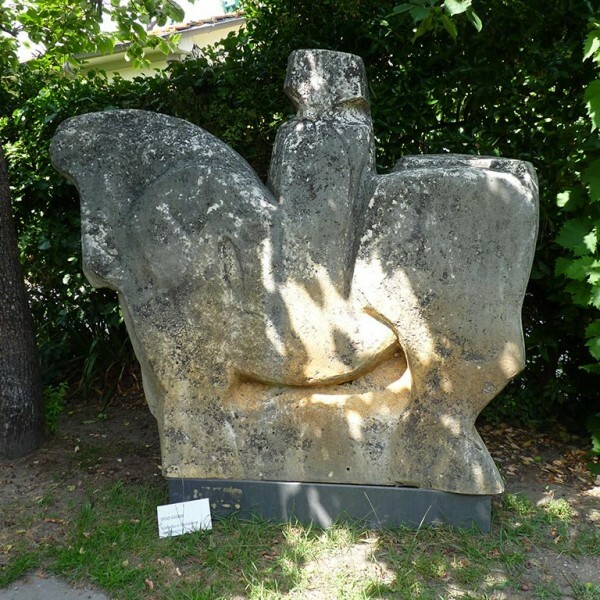 In 2005 the Regional Government of Tuscany inserted it into the programme Case della Memoria, making it possible for the historic house museum to open to the public. 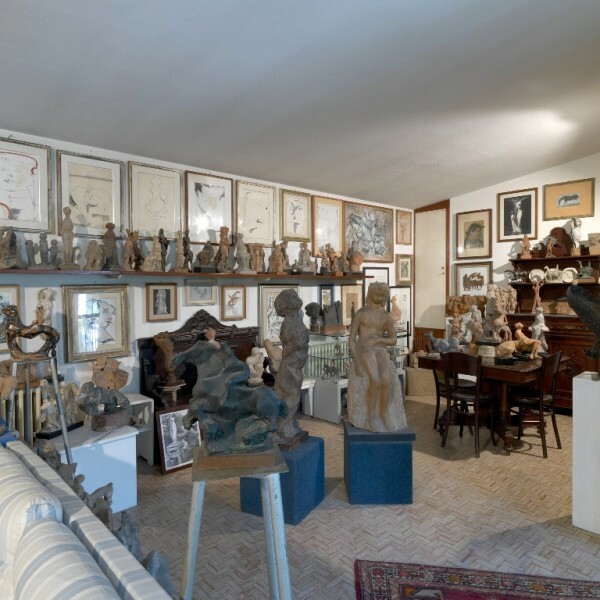 Since 2006 the Ugo Guidi Historic House Museum has adhered to the FAI project and that of the Amico Museo of the Tuscany Region, participating in the European Heritage Day promoted by the Ministry for Heritage; and it has developed a lively programme offering educational activities, games, and workshops.